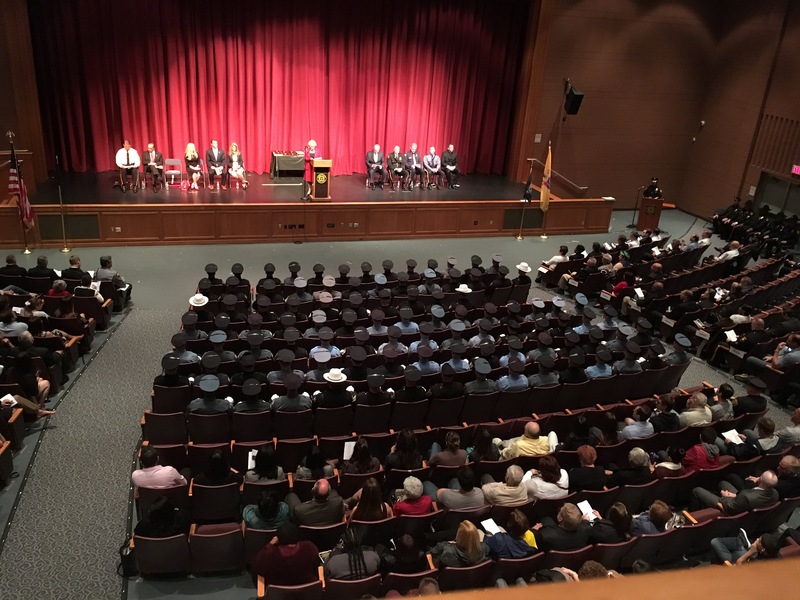 Neptune: Sheriff Shaun Golden is pleased to announce the graduation of 118 newly sworn in law enforce ment officers from the Monmouth County Police Academy. 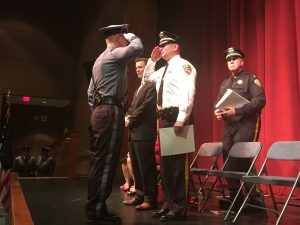 On May 13, 55 officers of the 90th Basic Course for Police Officers and 62 officers of the 43rd Basic Course for Class II Special Law Enforcement Officers received their police training commission certifications during a ceremony at Neptune High School’s Performing Arts Center. The Basic Course for Police Officers is a 20 week program with 780 hours of training. The Basic Course for Class II Special Law Enforcemen t Officers is a three month program and consists of approximately 600 hours of training with full police powers while on duty. Both classes are run through the Monmouth County Police Academy. Upon successful completion of the police training commission approved curriculum, the officers are well trained and well prepared to serve their respective law enforcement agencies. 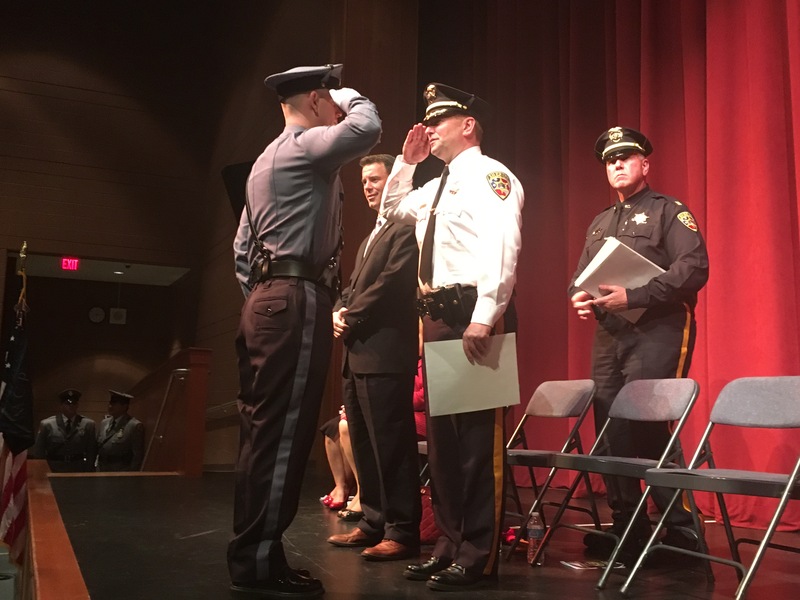 Sheriff Shaun Golden, Chief John Sorrentino, Sea Bright PD, Acting Prosecutor Christopher J. Gramiccioni and Freeholder Director Thomas A. Arnone presented the graduates with their certificates. 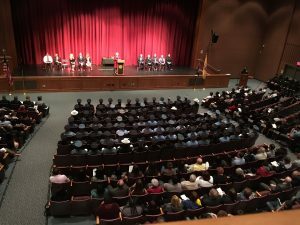 “Through their strong commitment and hard work, we can be sure that these graduates will serve our residents and communities well as they begin successful careers in law enforcement,” said Acting Prosecutor Christopher Gramiccioni. Outstanding Trainee Award: Glenn Sonnabend, Monmouth County Sheriff’s Office. Outstanding Trainee Award: Joseph DeAngelo III, Manasquan PD.